Immerse yourself in outstanding Mediterranean cuisine here. 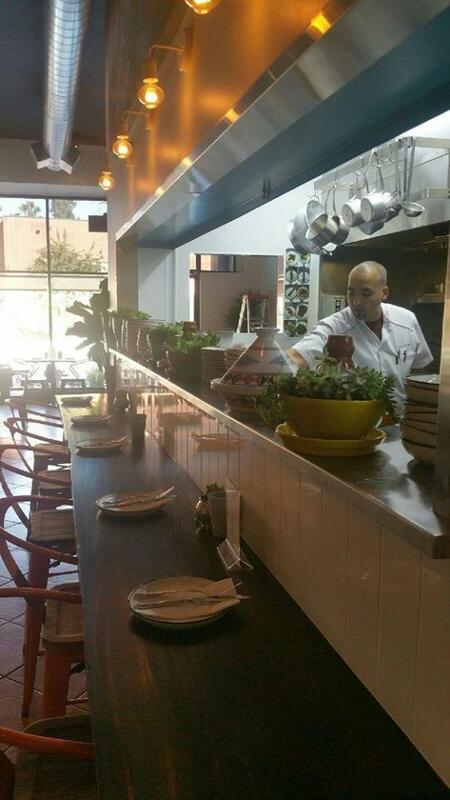 Here you will be offered mouthwatering hummus, lamb kabobs and flank steaks. At this place clients can delve deep into delicious dishes, and degust perfectly cooked apple pie, yogurt and friands. Delicious wine is a right choice for the first time you visit this restaurant. In accordance with the guests' opinions, waiters offer great coffee, ice tea or mint tea. The appealing staff meets you at Mizlala all year round. Fabulous service is something visitors appreciate here. 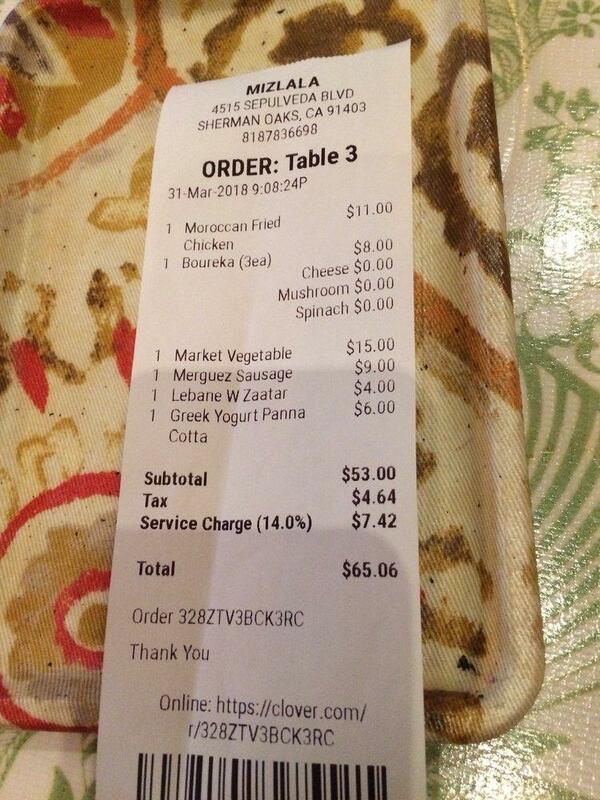 You will pay fair prices for your meal. There is a peaceful atmosphere and beautiful decor at this place. Yelp users rated this spot 4.5 stars, that means it's a nice choice for visiting. 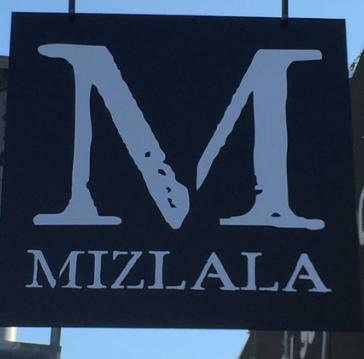 Mizlala makes delicious, high quality Middle Eastern foods many cuts above other spots in the Valley. The falafel wrap ($10) was spectacular, with wonderfully savory, lightly crisped falafel pieces in a tender, fresh wrap. The side green herb dipping sauce serves as a great accompaniment. The falafel wrap is mostly vegan, but ask questions to check if any modifications are needed (Mizlala has some dairy-based sauces which it sometimes uses and sometimes doesn't). The hummus ($8) is vegan by default and plain delicious. Lastly, the bread with za'atar lebane ($9) is vegan by default (I think) and really damn good. The bread is warm and flaky and addictive while the za'atar just melts in your mouth. The service is friendly but expect to wait a while for your food. I can't wait to come back to Mizlala. The only other places with falafel this good are Falafel on Wheels (a food truck in Encino) and Pure Food Organic Kitchen (formerly known as Ihsan's Falafel). 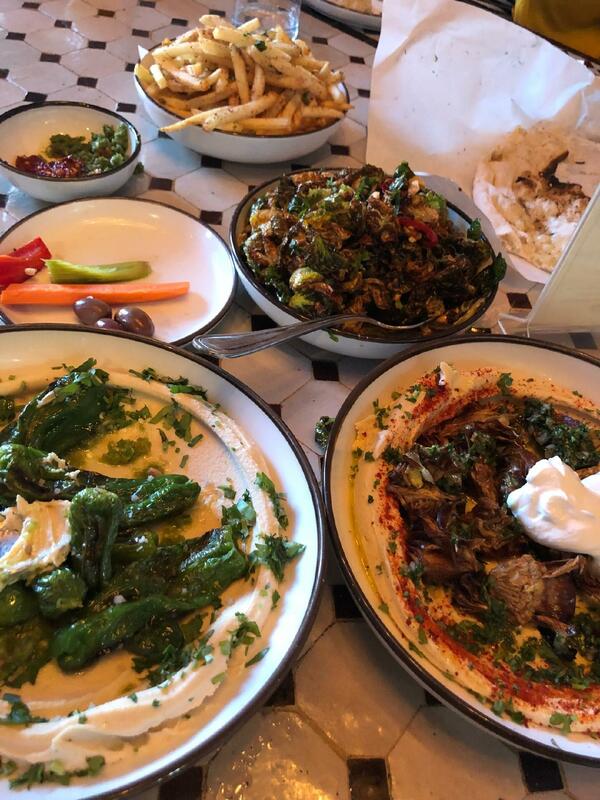 For za'atar and flaky breads, Mizlala beats out places like Madcapra and Kismet (which are famous, but overrated). Mizlala has amazingly good food for a little dive-y place in Sherman Oaks across the street from Whole Foods. Yummy Israeli pickles to start! Octopus was very flavorful and tender. BF's chicken Kevin was very tender and delicious! Ambience is lacking and they could be more engaging. I will be back to try the Tagine chicken 11/15/18 Me and my bestie had dinner there tonight and it was so much WORSE than last time. Same indifferent staff and they were less pleasant than last time, maybe because the tip is included (16%) and they're not motivated to be more engaging. The chairs are uncomfortable to sit in probably because they are made of cheap plastic? Okay, here's what we ordered.. Weird lentil soup that was too lemony and acidic Chicken kebab that was not chicken breast. It was fatty and flavorless so I sent it back and ordered the chicken Tagine which was tender but bland and kind of weird and took forever but I hadn't eaten all day and needed the protein. It kind of grows on you but not something I would order again. My bestie had a salmon kebab and it looked over cooked and smelled a little fishy. She also ordered saffron rice which I didn't care for. The music was loud and the ambience is a huge negative I will not be returning!! So so good! Came here for my sisters birthday dinner and we were pleasantly surprised. The hummus and bread were so good we got a second order! We had the lemon chicken, Jerusalem salad, curry cauliflower, 2 filet mignon kebabs and one more salad that I can't remember the name. Anyway- it was all so delicious! I will be back. One bad thing is parking. Ugh. I went around in circles and ended up on the 405 south before I called the restaurant to ask where to park. There is a lot in the back so look for it so you don't end up on the 405 like me! !